My daughter has always loved to sing and dance. I raised her to be a fan of a musicals. It was no surprise when she asked if we were going to see The Greatest Showman. It's about PT Barnum and his dream of starting a circus. We went with my mother, and were enthralled. Here's why you need to see it. 3. The choreography is impressive. Seriously, the dance numbers are captivating. There is so much talent in the movie. Zendaya as a trapeze artist was fabulous, and everyone knows Zac Efron can dance. 4. The actors are all spectacular. I mean, everyone knows about Hugh Jackman. But there's also Michelle Williams. You know, Jen from Dawson's Creek? She can SING. I didn't realize that. Plus there's Zac Efron, and the Bearded Lady, played by Keala Settle, whose voice is gorgeous. 5. Yeah, Yeah, PT Barnum wasn't that great of a guy. But if he bothers you, pretend it's some other guy with a dream. If you have kids who love musicals, bring them. If you love musicals and don't have kids, go on your own! 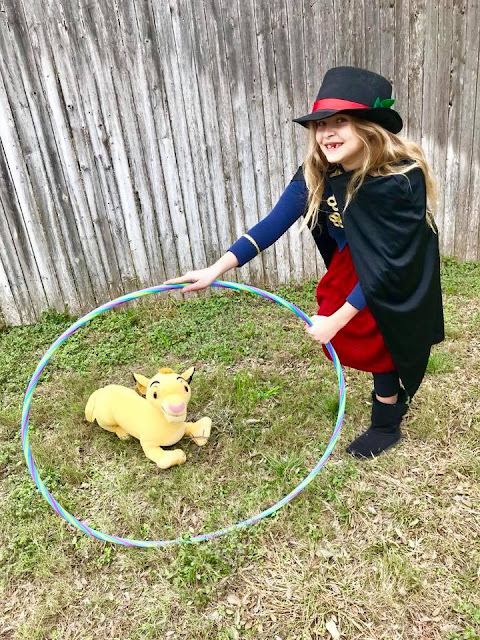 My daughter enjoyed the movie so much that she wanted to dress up like PT Barnum. She found some stuff in her closet and started to do moves in the backyard. Have you seen The Greatest Showman yet? I saw the trailer and already wanted to watch it, thank you for corroborating it. And I wanted to say that I took your advice and watched Atypical and I loved it. I also thought that Sam was the most "normal" person compared to the other characters. I'm glad you enjoyed it. I'm looking forward to season 2 :) And I agree, Sam was pretty "normal" compared to what some of the other characters were doing. Gabbie wants to see it! I have heard of the movie but haven't seen it!. I even haven't seen star wars yet! the trailer looks really nice and you gave me great reasons to give the movie a go! Hadn’t heard of anyone I knew seeing this yet. Good to know it was everything you expected and more. I haven't seen it but saw the trailer and really want to go watch the movie. I took my son to see the circus last year when it was here in Tampa before it closed permanently. So glad I did! I know it's right for it to close, but it's also the end of a bygone era, and I'm glad my son saw a little of it before it was gone. Natalie should seriously go into acting she definitely has the personality for it and just may be surprisingly good at it. I like the fact that Natalie is still very imaginative and creative along with the childlike innocence which is a part of childhood.This is good to have because most kids these days so lack imagination and creativity thanks to computers etc. I am very impressed how Natalie had put her outfit together. Ya got yourself quite a little actress and fashion designer in the making.which surprised me she didn't get a speaking part in that school play she tried out for a couple months back. I have to admit that I have a hard time ignoring the realities of PT Barnum's story... I studied this period of performance history in theatre school and it's pretty problematic for me... That being said, I do usually love a good musical! I have heard such amazing things about this movie. I definitely want to see it! I saw the trailer and I am sure I will have to watch it either way, love everything about it and I think it's going to be amazing when I finally see it. I have heard of the movie but haven't seen it. Sounds like a good movie to watch! I thought your daughter was so cute when I watched her choreography to the soundtrack. Girl has got some moves! 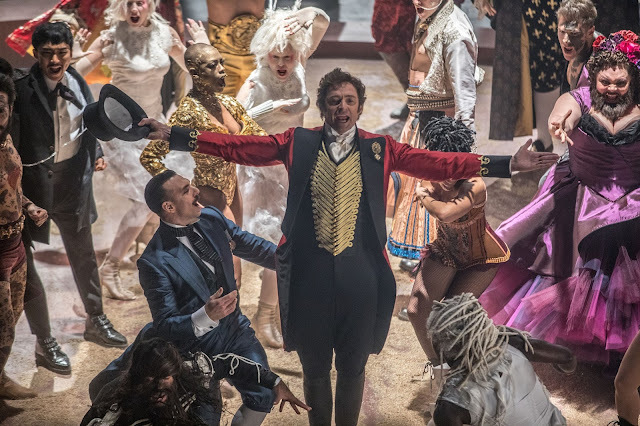 I can't wait to see The Greatest Showman especially as I am a big fan of musicals! I haven’t seen it. My sister and I were talking about it though. She really wants to see it. I don't care for musicals but this movie has my interest on cast alone. I have seen enough interviews it looks like a good movie. Your daughter is awesome! Creative play like that is good for the soul! I have been wanting to see this glad to hear you loved it! I saw The Greatest Showman on Christmas Day and I FREAKING LOVED IT!! I also downloaded the soundtrack upon leaving the theater!! SOOOO GOOD!! I would love to watch this. We love musicals and this is perfect. Thanks for sharing the trailer. It's a very good movie. I have to agree. I love the choreography in the movie. I do love rags to riches stories. And movies that have great music. I am pretty sure we're going to see this as well. I didn't know she could sing. Cool. You sold me at Zac Effron though, he's great. My teenage son and his girlfriend saw it and they really liked it. You've convinced me that this is a must see! We had house guests for five days and they had just seen it and keep talking about how good it was. They played us the music. VERY cool. I just saw it last night and I LOVED IT! I was blown away by how incredible it was! The singing, the acting, the dancing! I loved it all! I'd go see it again in the theater! My mother has been desperate to see this, and for some reason, I had been holding out, because they didnt show a lot of previews in my area. Thanks for such a thoughtful review! I will take her to see it this week; I never even knew Zendaya and Zac Efron were in the cast! I saw the movie and it inspired me so much! I loved it. The soundtrack is amazing. The storyline is exceptional. Your post is correct....it is a must see! I have been wanting to see this movie! It looks so good and I am happy to read all these rave reviews about it. I was sold with the awesome trailer and I must see. 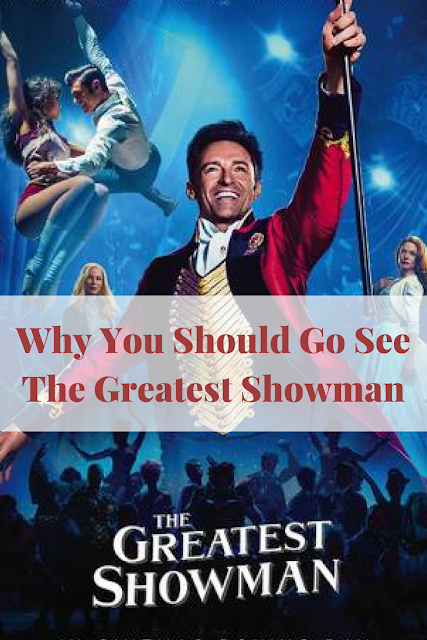 Thanks for sharing and these are great reasons to see the showman! I just saw something about this movie and could have sworn it said "The Greatest Snowman" and all I could think of was wow that must have been a really awesome snowman to be that inspirational but it all makes sense now!! Your daughter is so creative and go you for encouraging her to be so artistic and have fun and be inspired! !